Make Delicious Eggs in Minutes! The 'Egg Master' makes pop-up treats that EVERYONE loves to eat! Eggs might seem like an a typical kabob, but they're delicious right off the wooden skewer. But there's so much more cooking potential here than just eggs! You can even make French toast, Greek tortillas, and desserts! Enjoying the 'Egg Master' is as 'Easy as 1-2-3'! 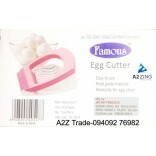 Tired of scraping eggs off from dirty pans? Desire freedom from messy omelets and stinking utensils? 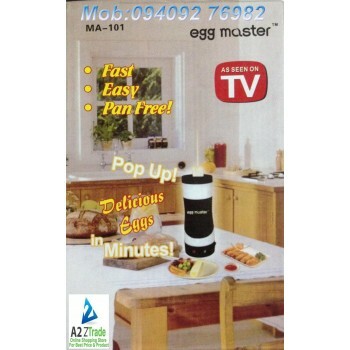 Presenting Egg master with vertical cooking technology for perfect omelets every time. Discover a whole new way to prepare eggs and other tasty snacks in minutes. 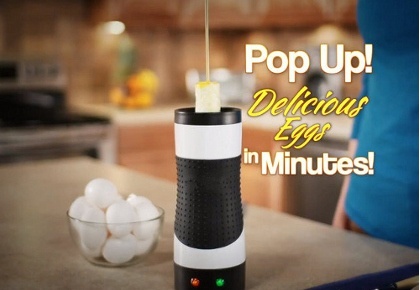 Just crack an egg, pour it in and watch it pop up in minutes automatically. Perfectly cooked, great color and aroma. Healthy Cooking: just a small spray of oil is needed for cooking eggs and favorite snacks. Unique Silicone grip. Non-Stick chamber for no mess cooking. Clean up is a breeze. Device color as per stock. Eggs are just the beginning. Also cooks pizza rolls, cinnamon rolls, burritos, and more. Warranty: 1 month seller warranty against manufacturing defect. 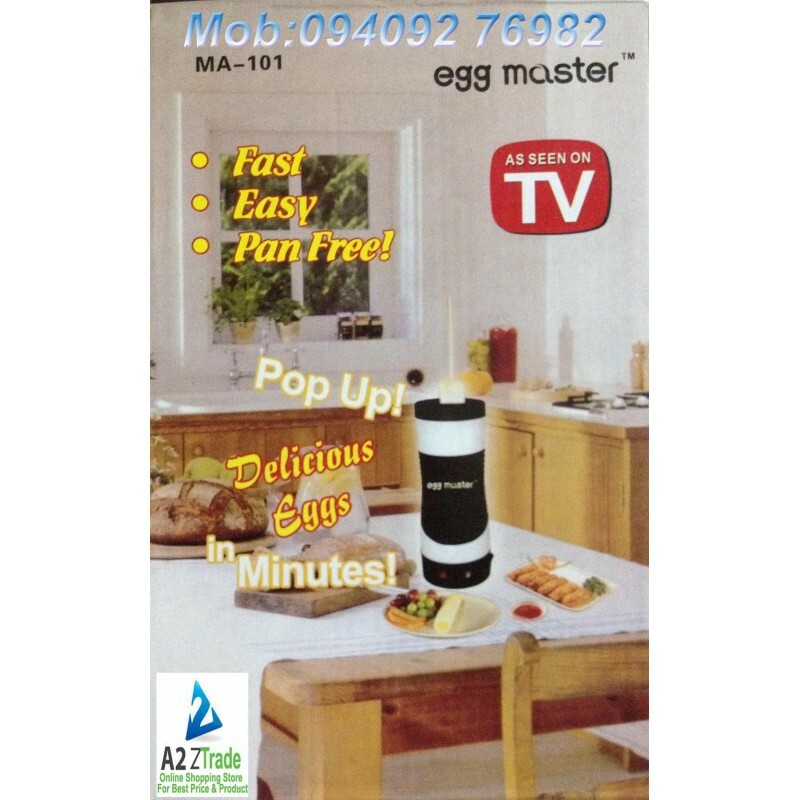 'Egg Master' Vertical Grill is the FAST, EASY, PAN-FREE WAY TO MAKE PERFECT EGGS EVERY TIME! Vertical Cooking Technology that combines a cylindrical non-stick cooking surface surrounded by a revolutionary heating element Breakfast is a hassle; it's messy and you're busy. 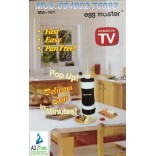 But now there's a way for you and your family to have a hot breakfast - with the 'Egg Master'! 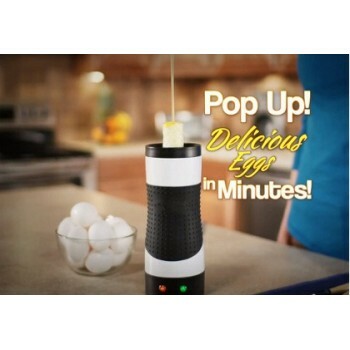 Just crack your egg, pour it in and watch it pop up in minutes! And eggs are just the beginning; make tasty burritos, perfect pizza rolls or cinnamon rolls for a delectable dessert.